Darlene Sims examines Curt Hughes’ telescope on Jan. 3, 2014 at Starizona in Tucson, Ariz. Sims and her family recently bought a telescope that they’re eager to learn how to use. Photograph by Susan E. Swanberg. If you received a telescope as a gift recently, but don’t know how to use it, don’t despair. From Sierra Vista to Green Valley to Tucson, professional and amateur astronomers are ready and willing to help get you started. 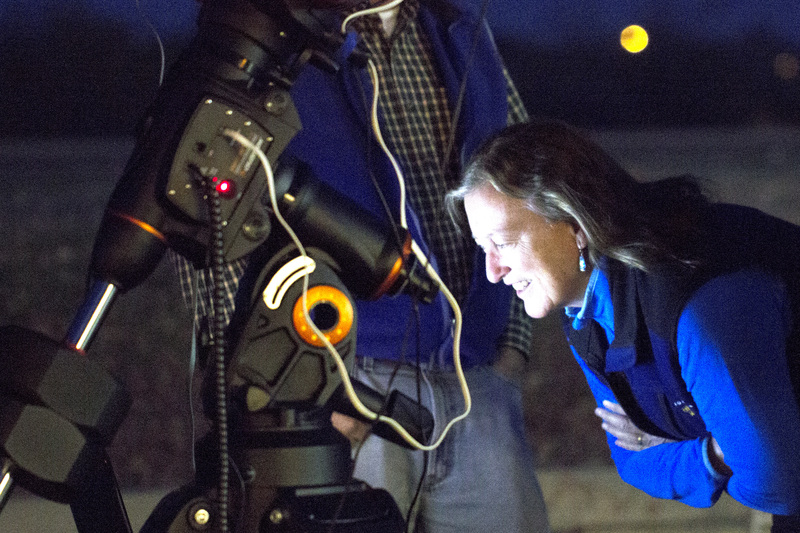 Even if you don’t own a telescope, you’re encouraged to join the fun.